An American in Paris: Music. Dance. Magic. 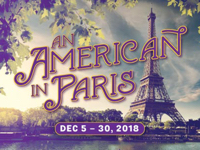 An American in Paris, the Arts Center of Coastal Carolina’s holiday, perfect-for-the-whole-family musical sensation, is onstage December 6-30. One of the most captivating musicals ever to be adapted for the stage, An American in Paris is inspired by the Academy Award-winning film and features the music of George and Ira Gershwin. The Arts Center is proud to be the first regional theatre in the Southeast to produce this new musical, which won four Tony Awards in 2015; in fact, it was the most awarded show of any other that Broadway season. Directed by Mark Martino (director of the Arts Center’s Newsies and White Christmas), the cast of 21 brings immense triple-threat talent, most of whom hail from New York City and are dancing, singing and acting their way through the holiday season on our lovely island. A visual feast, this elegant and exuberant musical features everything from Gene Kelly-style dance to stunning ballet en pointe, and in lush settings that transport you from a masquerade ball to the Grand Opera and of course along the Champs-Elysées. Tickets for preview performances December 5-6 are $50 for adults and $37 for children ages 5-15. * Regular performances, December 7-30, are $60 for adults and $47 for children. To purchase, visit www.artshhi.com or call (843) 842-ARTS (2787). Women’s Association Holiday Luncheon: You are Invited! The Women’s Association of Hilton Head Island (WAHHI) is pleased to announce the Holiday Luncheon to be held at the Sonesta Resort in Shipyard Plantation on Monday, December 19, with a social hour starting at 11 a.m. followed by the luncheon and program at noon. Entertainment for the luncheon will be provided by the cast of An American in Paris from the Arts Center of Coastal Carolina. WAHHI will also collect children’s toys for The Children’s Center and Bluffton Self Help. To register for the luncheon, please visit www.wahhi.org, contact Anne Lambdin at (443) 418-6445 or reservations@wahhi.org. Tickets are $30 ($32 online) for members and $38 ($40 online) for guests. As the holidays approach, many of us feel a desire to give back or help those less fortunate. 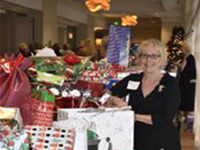 Local nonprofits plan seasonal drives and activities to ensure their clients experience holiday cheer. And residents of the Lowcountry answer this call by donating toys and coats, serving meals, helping at agencies’ holiday parties, or doing other generous acts. If you’re looking for an opportunity to help local nonprofits during the holidays, Community Foundation’s Lowcountry Volunteer Connection’s Season of Giving is your perfect resource. Season of Giving is a listing of holiday needs, drives and volunteer activities in the Lowcountry. Whether you want to sponsor a family for the holidays, donate a toy, or help serve a meal, all the opportunities are listed on Season of Giving. Just visit www.cf-lowcountry.org/seasonofgiving and you’ll find a listing and instructions on how to participate. Check back frequently, as the list is updated often. If you’re nonprofit or agency would like to post a seasonal need, contact Debbie Cahoon at dcahoon@cf-lowcountry.org or (843) 681-9100. 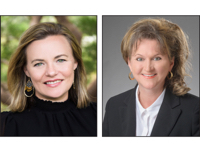 Mary Vaux Bell and Mary Jeans Otto have joined the Bluffton office of Celia Dunn Sotheby’s International Realty as a sales associates. 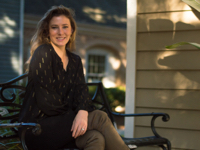 A Bluffton native with an extensive knowledge of the area, Bell has been an agent in the Lowcountry for two and a half years. Otto has been a Realtor for nine years, seven of those in the South Carolina Lowcountry. The Hilton Head Symphony’s new headquarters, SoundWaves at Coligny Plaza, offers a holiday season that keeps giving this December. The inaugural musical performance at the recently opened venue featured a special benefit concert by a young pianist who’s no stranger to Hilton Head Island. Xiaoxuan Li, second prize winner at the 2015 Hilton Head International Piano Competition, took a break from his studies at The Curtis Institute of Music in Philadelphia to return for a special one-time recital, featuring works by Bach, Chopin, Schubert, Rachmaninoff Liszt & Prokofiev. This year, Xiaoxuan won first prize (senior division) at the Cleveland International Piano Competition for Young Artists. In mid-December, Lean Ensemble graces the performance space of SoundWaves with its popular production of Bad Dates, by Theresa Rebeck. Founding Artistic & Executive Director Blake White described the show as “a hilarious story which begs the age-old question: not ‘who hasn’t struggled with love?’ But rather ‘who hasn’t had a bad date? I mean really!’” White added that the production features one of the funniest women in Lean Ensemble, Megan Bowers, who trained at New York’s famed Upright Citizens Brigade, home of Amy Poehler and Kate McKinnon. Bad Dates runs December 12-16. Shows begin promptly at 7:30 p.m. except for the matinee on Sunday, December 16, which features a 2 p.m. performance at SoundWaves. Tickets for regular shows are $40. Matinee is $15. For other ticket information, please visit www.leanensemble.org or www.hhso.org. December’s grand finale at SoundWaves is Saturday December 22, when HHSO presents a holiday SoundBites performance featuring John Cranford with friends Yannie Reynecke, David Kimbell and Cathy Klimoff. They’ll perform music from Cranford’s solo album Posture and Praise as well as some holiday favorites. SoundBites’ unique blend of relatable and classical music will accompany a generous helping of music to your taste buds, including a range of sweet and savory small plates, plus wine and spirits at the SoundWaves café. Tickets ($50) are limited for this intimate concert, so please reserve yours at www.hhso.org or check out the SoundBites Facebook page at https://www.facebook.com/HHSOSoundBites. Coming up in the new year, SoundWaves opens its doors for three regular season HHSO performances January 12, 13, and 14 featuring the music of Haydn and Dvorak. We look forward to sharing the SoundWaves spirit of the holidays with you, your families and friends this December. For more information on the December HHSO schedule and other upcoming events, please contact us at (843) 842-2550 or visit www.hhso.org. Karli Dixon is pleased to announce the recent opening of Luna and Lillie’s home boutique in Main Street Village on Hilton Head Island, offering trendy chairs, candles, flatware, decor and more, with a mix of bohemian vibes and a traditional, yet contemporary flare. Store hours are Monday-Friday 11 a.m.-6 p.m. and Saturday 10 a.m.-5 p.m. For more information, swing by 1401 Main Street or visit www.lunaandlillies.com. Hilton Head Island Bridge Club’s Winter Workshops will be held January through March at the Hilton Head Island Bridge Club at Port Royal Plaza, off mile marker 5 on Hilton Head Island. These workshops are for beginner, beginner plus, and intermediate players and are open to the general public. All clinics are $15. For more information, email kbwalsh@roadrunner.com. 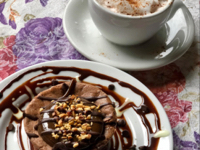 On Saturday, December 8, from noon-4 p.m., Bluffton will be brimming with the incredible sights, smells and tastes of the region’s finest coffees, desserts and chocolates—when the first-ever Bluffton Coffee and Chocolate Fest takes decadence to a whole new level. The outdoor event, to be held on the green next to Gigi’s, will bring together many of the region’s leading coffee roasters, specialty dessert makers and chocolatiers—and is expected to attract foodies, coffee aficionados and chocolate lovers from throughout the Lowcountry (and beyond). For more information, including a complete line of vendors, visit http://thecottagebluffton.com/bluffton-coffee-chocolate-festival. On December 19 at 3 p.m., the Coastal Discovery Museum will host Andrew Carmines, general manager of Hudson’s Seafood Restaurant on Hilton Head Island, who will discuss in detail the process of producing single oysters from the brood stock, to the hatchery, to the upweller, and ultimately to the consumer. 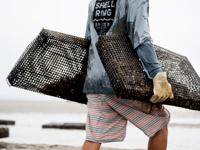 He will take attendees through the process from start to finish and also answer questions on where the project is going and what the future holds for oyster farming in the Lowcountry. Cost is $7 per person (for ages 12 and older please). Seating is limited, and reservations are required by calling (843) 689-6767 ext. 223. The Museum is located at 70 Honey Horn Drive on Hilton Head Island, with a temporary entrance on 278 eastbound between Spanish Wells Road and Gumtree Road. 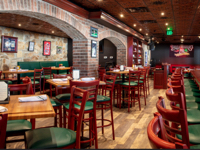 CH2 wishes to correct misinformation from our November issue story and invite you to visit Bucci & Murray’s Pub on the Harbour for food, sports, and entertainment. 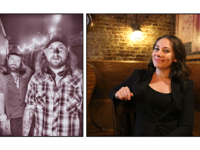 The restaurant is owned and operated by husband and wife team Bob Murray and Christina Bucci-Murray. Their recent renovations include a 26-ft. inside bar, facing Shelter Cove Harbour & Marina, with four 50-inch televisions for sports watching and a view all in one. Executive Chef Roberto Juarez leads the culinary team, with a newly revised menu featuring Italian favorites along with New England-style pub food. Happy hour is offered Monday-Friday only, from 4-7 p.m. (closed on Tuesdays until the beginning of the year). See website for lunch and dinner hours as they are subject to change seasonally. Reservations are available for parties of eight or more, otherwise, seating is first-come, first-served. The restaurant is located at 13 Harbourside Lane at Shelter Cove Harbour and Marina. For the entertainment schedule and more information, please visit www.buccishhi.com or call (843) 785-3300. 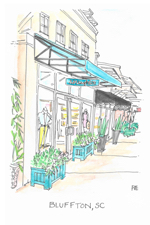 J.McLaughlin has opened its third retail location in South Carolina in the heart of Old Town Bluffton. With stores in Charleston and Johns Island, J.McLaughlin is looking forward to further introducing the brand to South Carolina and growing with this fast evolving community. The store is located at 5 Promenade Street, featuring a full assortment of women’s and men’s clothing and accessories. 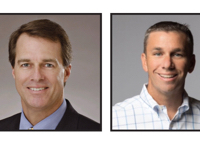 Open Monday-Saturday 10 a.m.-6 p.m., and Sunday 12 p.m.-5 p.m.
TD Bank honors Matt Webster and Mike Quigley as two of the bank’s top mortgage producers. Both Webster and Quigley finished in the top 10 for mortgage originators at TD Bank nationwide. The two combined for over $100,000,000 in loan production in 2018 and will be recognized at TD Bank’s annual sales conference in Atlantic City. Collins Group Realty announced the addition of a new staff member, Mary Gundling, who joins the Real Estate Group’s full-service staff as a team support specialist in their Hilton Head Island office. 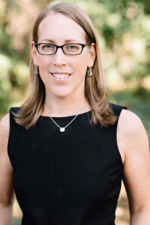 A former high school teacher of 17 years in New Jersey, Gundling brings with her a high level of knowledge, caring and attention to detail that will help her excel in her support of both the in-house closings and marketing departments. 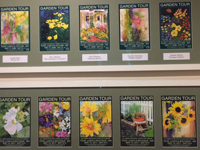 The All Saints Garden Tour scheduled for May 18, 2019 is looking for artists who would like to enter a picture of flowers or a garden in our poster competition. All of the works will be displayed at Hilton Head Hospital in February and will be for sale; part of the proceeds are contributed to the tour. While six finalists will be selected from the submitted artwork, which can be in a variety of media—a painting, photography, a single work will be selected for the poster and the cover of the Garden Tour ticket. Deadline for submitting application is January 15, 2019. For application information, visit www.allsaintsgardentour.com and select Poster Contest. More than 500 vehicles made their way to the Lowcountry to participate in the seventeenth annual Hilton Head Island Concours d’Elegance and Motoring Festival, held at the Port Royal Golf Club on Hilton Head Island. The coveted “Best of Show” was awarded on November 4, at the closing event. The top honor was awarded to a 1931 Stutz DV32 Convertible Victoria owned by Joseph and Margie Cassini of West Orange, New Jersey. Attendees at the event chose a 1929 Ford Station Wagon as their People’s Choice winner. The car is owned by Thomas and Donna Fitzgerald of Selma, North Carolina. 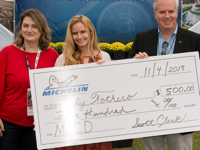 In addition to the vehicle awards handed out on Sunday, winners were announced during Sunday’s festivities for the second Annual Michelin Junior Challenge Design, a scholarship program in partnership between the Hilton Head Island Concours d’Elegance, Michelin, and the Beaufort County School District. Lily Tothero from Hilton Head High School was the overall winner. The eighteenth annual Hilton Head Island Concours d’Elegance Motoring Festival is scheduled for October 25-November 3, 2019. For more information, visit www.HHIConcours.com. Lawrence A. Colby, #1 Amazon bestselling author and former Hilton Head Island resident, is proud to announce the launch of his second book The Black Scorpion Pilot. As a former military pilot, Colby brings you exciting stories in The Ford Stevens Military-Aviation Thriller Series, including The Devil Dragon Pilot, 2018. Writing with full authenticity from being part of a small group of pilots that completed both U.S. Navy and U.S. Air Force undergraduate pilot training programs, he includes real-world action from his experiences. Details: https://www.amazon.com/Lawrence-Colby/e/B01MRET59D. 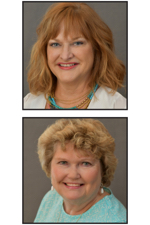 Century 21 Diamond Realty is pleased to welcome Coleen McBournie and Carla G. Raines. Raines, a Lowcountry resident for over 32 years, has witnessed the tremendous change and growth that’s transformed the area into one of the East Coast’s most sought-after destinations. Her vast knowledge of the area and her creative, enthusiastic and caring nature is perfect for matching each client’s desires as well as skillfully featuring a home’s unique presence and character. Coffey Kubec, LLP has recently established a law practice on Hilton Head Island, South Carolina. 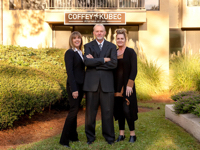 The firm is comprised of three compassionate, experienced, and dedicated attorneys, Maureen T. Coffey, Ed Kubec and Leighanne Kubec, who combine local knowledge and world class experience to raise the bar in the Lowcountry. Coffey Kubec provides legal services in the areas of civil litigation, criminal defense, business law, personal injury, family law, immigration law, and special education law. 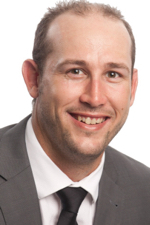 Professional Tennis Registry (PTR) announced today that Brian Parkkonen has been promoted to chief operating officer. 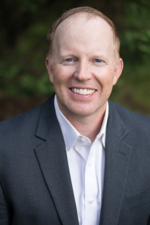 As COO, Parkkonen will oversee organizational development and staff collaboration.